The global health community gulped Thursday with the announcement that a case of Ebola had been confirmed in a city of more than 1 million in Congo, bringing the latest outbreak of the often deadly hemorrhagic fever out of remote rural areas. 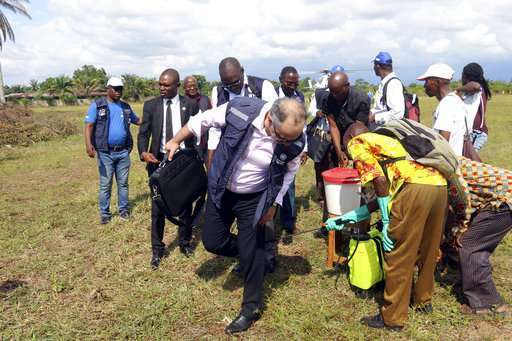 "Confirmation of urban #Ebola in #DRC is a game changer in this outbreak - the challenge just got much much tougher," the World Health Organization's emergencies chief, Dr. Peter Salama, said on Twitter. Here's a look at the outbreak. Ebola is a virus that without preventive measures can spread quickly between people and is fatal in up to 90 percent of cases. The symptoms include fever, vomiting, diarrhea, muscle pain and at times internal and external bleeding. Symptoms can start to occur between two and 21 days from infection, according to WHO. The virus is spread by close contact with the bodily fluids of people exhibiting symptoms and with objects such as sheets that have been contaminated by those fluids. Health care workers are often infected, and burial practices that call for washing or other close contact with Ebola victims also can spread the disease. 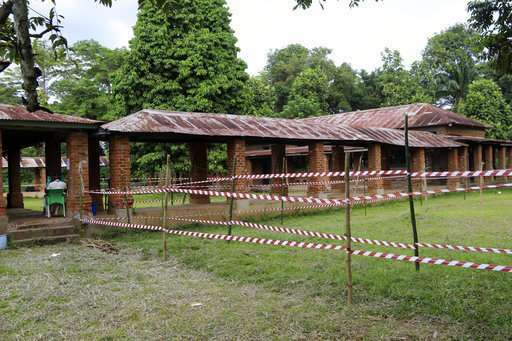 Congo's Ebola outbreak has spread to the capital of northwestern Equateur province. The country's health minister says two suspected cases of hemorrhagic fever were reported in the Wangata health zones, which includes Mbandaka, a city of nearly 1.2 million people. One sample proved positive for the Ebola virus. Mbandaka is about 150 kilometers (93 miles) from Bikoro, the rural area where the outbreak was announced last week. Congo Health Minister Oly Ilunga says he is worried because Mbandaka is densely populated and at the crossroads of Equateur province. The city lies on the Congo River, a crucial travel corridor in the vast country where infrastructure is largely poor. Downstream is Congo's capital, Kinshasa, with a population of roughly 10 million. HAS EBOLA COME TO A CITY BEFORE? Yes. In West Africa's massive Ebola outbreak in Guinea, Liberia and Sierra Leone that began in 2014 and left more than 11,300 dead, the virus entered the capital cities in all three impoverished nations. 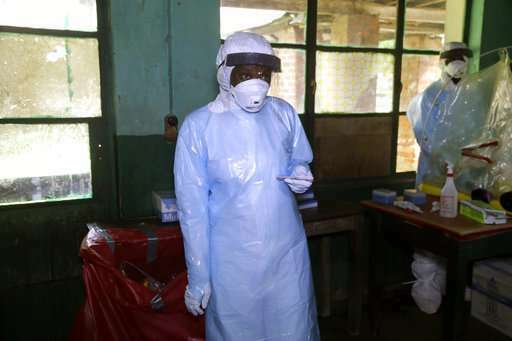 Ebola notably spread in the West Point area of Liberia's capital, Monrovia. At the time WHO described West Point as "West Africa's largest and most notorious slum: more than 70 000 people crowded together on a peninsula, with no running water, sanitation or garbage collection." All of those factors complicated the medical response efforts and may do so again in Congo, where eight previous outbreaks were in remote areas. The West Africa outbreak was the deadliest Ebola outbreak since 1976, when Ebola was first identified. HOW BIG IS THE CURRENT EBOLA OUTBREAK? A total of 44 cases of hemorrhagic fever have now been reported in Congo, including 23 deaths, according to WHO. Among those are three confirmed cases of Ebola, 20 probable cases and 21 suspected cases. Until now the cases have been reported in remote areas, making it more difficult for medical teams to respond to the disease but easier to contain it. 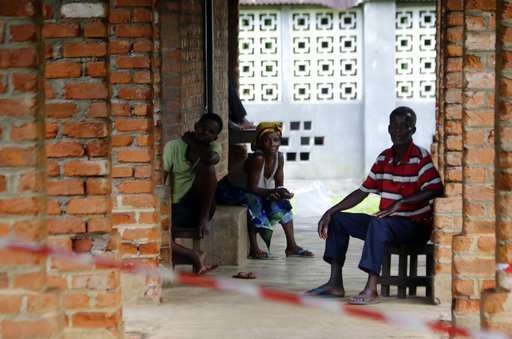 The aid group Medecins Sans Frontieres says 514 people who are thought to have been in contact with infected people are now being monitored. Yes. 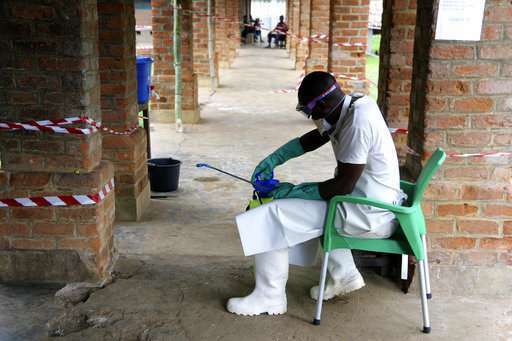 Congo's health ministry on Wednesday said 4,000 doses of the experimental Ebola vaccine had arrived in the capital and will be sent to the remote northwest. An additional 4,000 doses will be deployed in the coming days with more available if needed, WHO said. The experimental vaccine has been shown to be highly effective against Ebola. 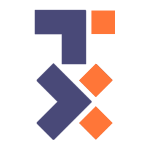 It was tested in Guinea during the West Africa outbreak. The vaccine is thought to be effective against the Zaire strain of Ebola found in Congo. WHO has said it will use the "ring vaccination" method in Congo. It involves vaccinating contacts, those who have been in contact with them and health care and other frontline workers. It is not immediately clear, however, how many doses of the experimental Ebola vaccine exist and how they would be administered in an urban area. The vaccine must be kept very cold, at minus 60 degrees Celsius, which presents a logistical challenge in tropical Congo which does not have reliable electricity.